For each film, the young filmmaker would sit with the language experts and help explain what he or she was trying to evoke. It proved to be a really great learning experience for the youth, and was a unique way in which they could be giving back to the community. 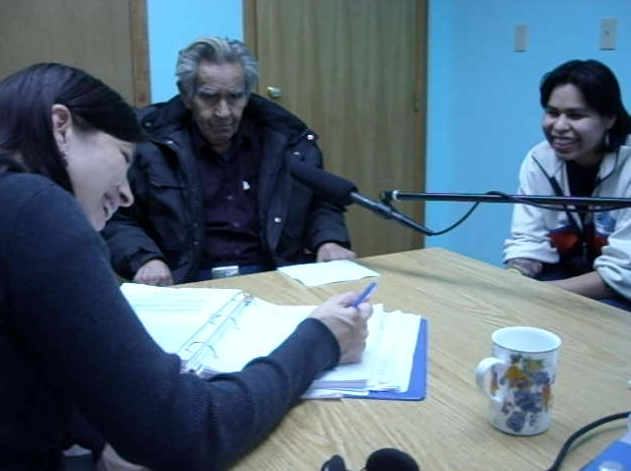 Jordon Seward records the audio, Lisa White transcribes while Tsinni Stephen and Curtis discuss the story.